I'm definitely a seasonal red lips girl. The Holidays just bring out that in me and I would go for a red lip tint, lip balm, and of course, red lipstick. 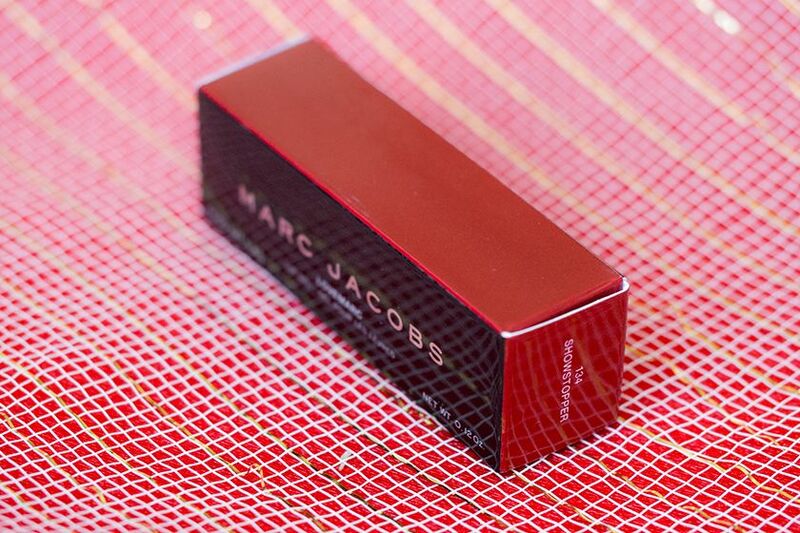 And the limited edition Marc Jacobs Beauty Lovemarc Lip Gel in The Showstopper (US $30 / CA $36) will be going inside my holiday makeup bag! I have heard a lot of lovely things about Marc Jacobs Beauty Lovemarc Lip Gels, and I am not surprised I did because they're quite awesome. 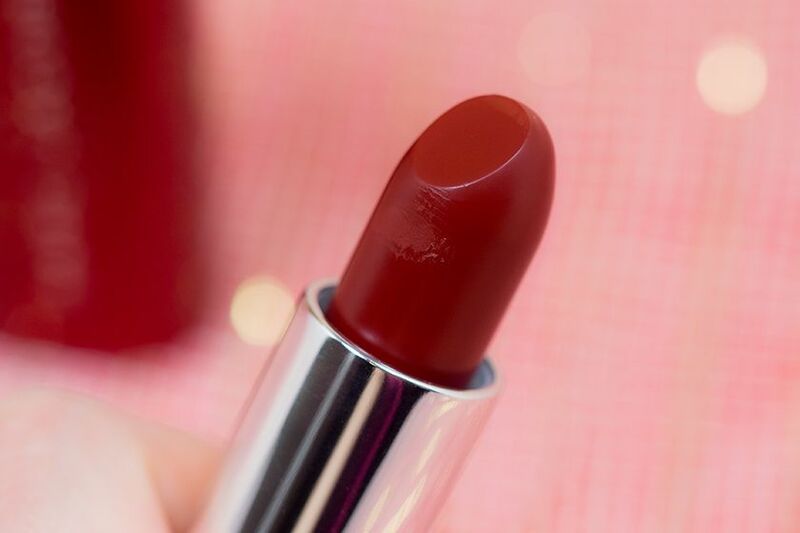 The gel based formula of these lipsticks are incredible smooth, like butter without the greasiness. It feels weightless on the lips despite of the shiny look it gives. It is also quite hydrating, which I appreciate. It also offers great pigmentation as you could probably be able to tell. It gives a shiny gel finish to the lips, which make them appear a little bit fuller. 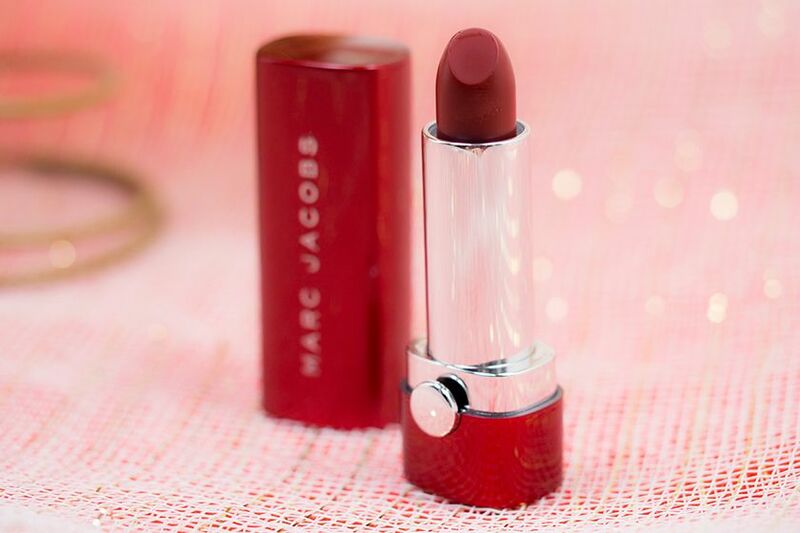 The shade itself is a classic true red, the kind you would get from a red delicious apple. 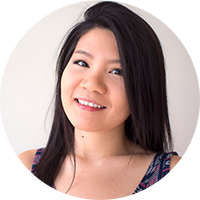 It surprised me that it stained my lips (and my arm) a little because I usually get that from a matte formula. 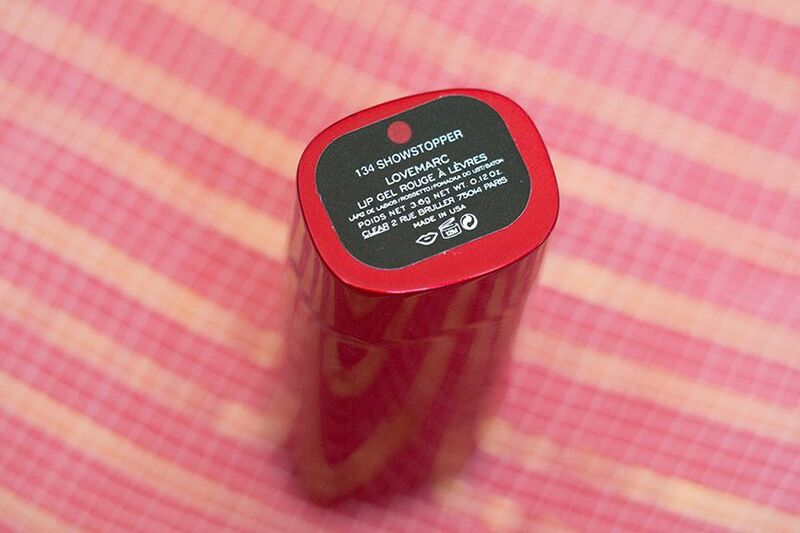 It has a pretty good lasting power but it does transfer, especially if you wear a lip balm underneath. I had to be careful about not smudge lipstick around my mouth. 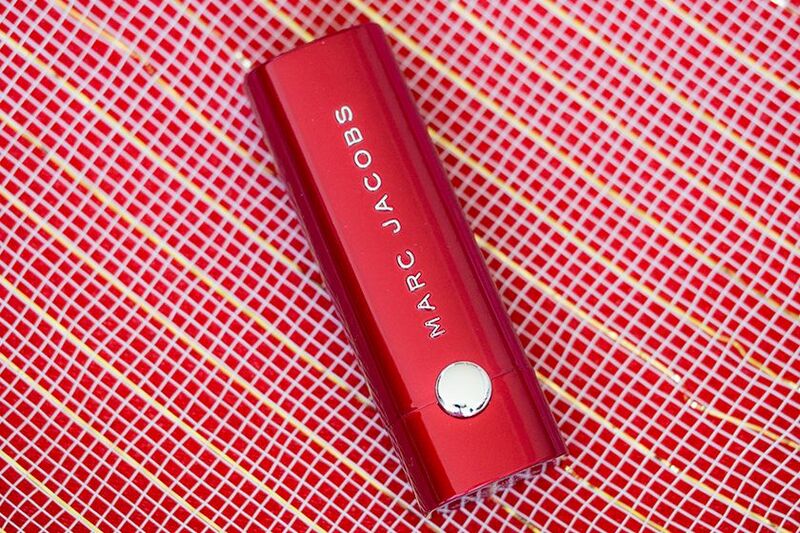 Finally, let's not forget the sleek special red packaging it comes in. The metal container has a magnetic closure and has quite good weight to it. It feels luxurious on hand and it definitely look it! 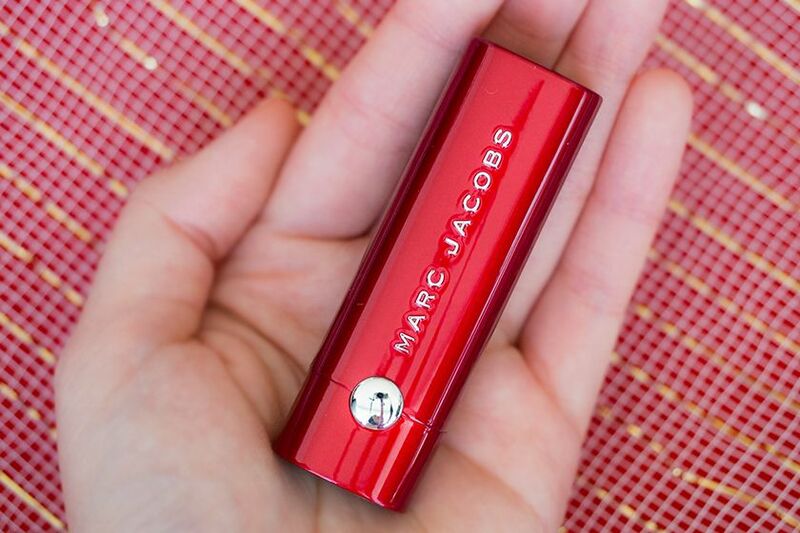 All in all, I was really impressed by the formula of the Marc Jacobs Beauty Lovemarc Lip Gels. The formula is smooth, weightless and hydrating. 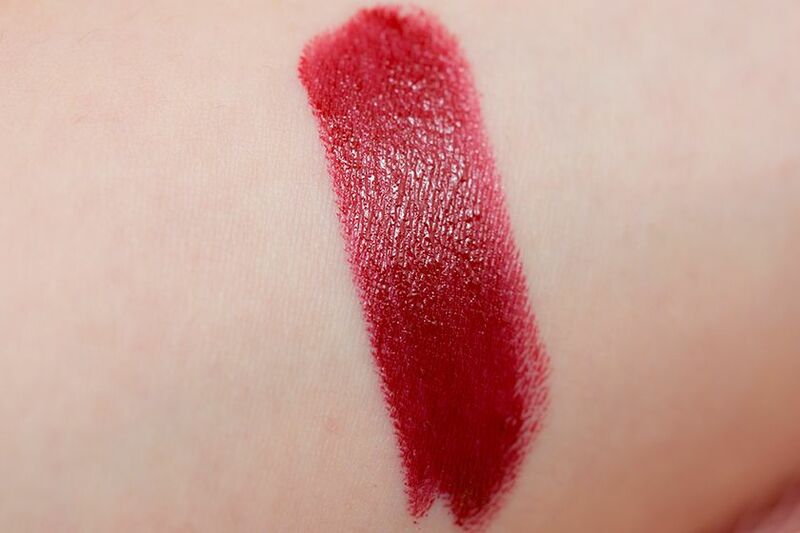 It gives great colour payoff and has good staying power but beware of transfer for this particular shade. 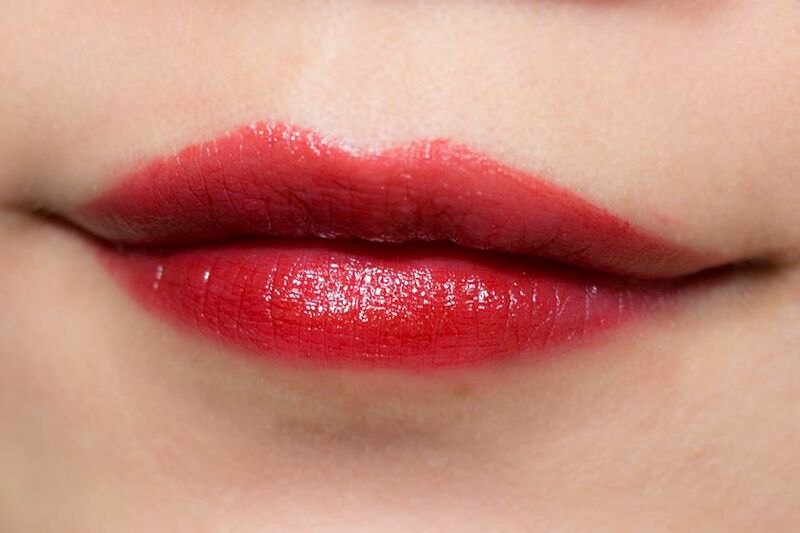 This true red lipstick will definitely take you from one holiday party to another. very very intrigued by the forumla. lip gel eh? i love the effect it has on your lips. slightly glossly, the gel finish makes it seem in your face. not full on! and the color is great against your skin. Yes, this colour is incredible, I love it! And thanks girl. I'm SO happy with it! My camera and lenses are my best purchases of the year! wow!!! I love the color.. so hot and sophisticated..
i didn't like red lipstick but this one i think i'm going to check out one of these days.